Our most valuable option...this absolutely spectacular show of affection simply screams WOW! 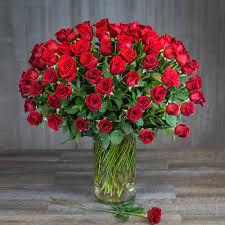 100 of our freshest Columbian Red Roses arranged in a wide, clear glass vase and delivered personally in our local delivery area. 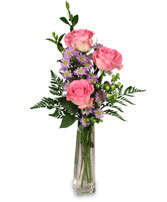 The shown vase is roses, alone. 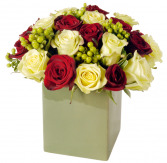 The premium option includes greens and babies breath along with the 100 roses. 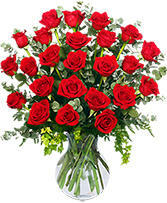 The Superior option contains greens and accent flowers throughout the 100 roses.